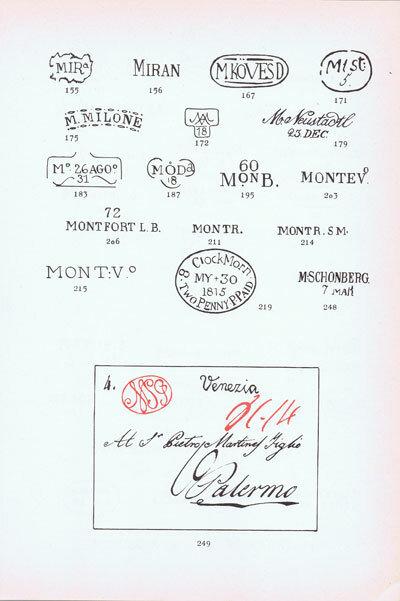 DENINGER Hermann Handbuch der abgekurzten vorphilatelistischen stempel. 116 large pp. 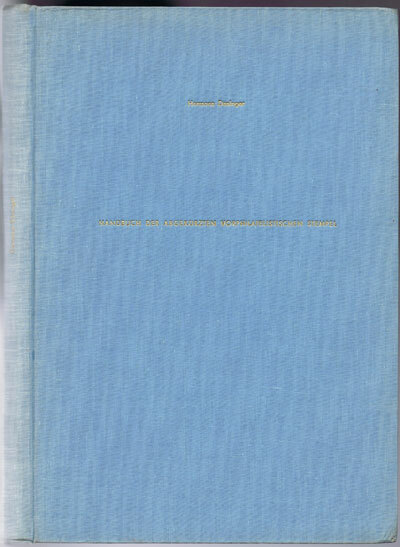 1st ed., fine in blue cloth. 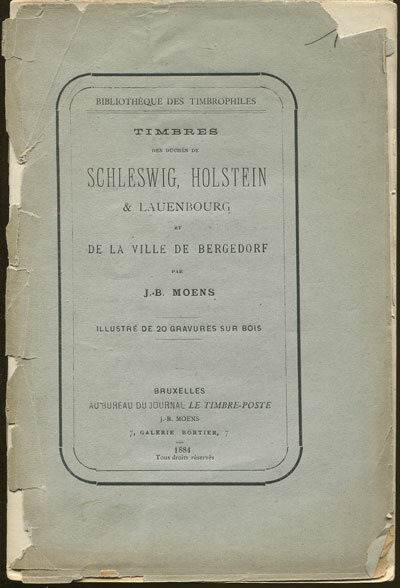 8 x 11.75"
MOENS J.B. Timbres des Duches de Schleswig, Holstein & Lauenbourg - et de la ville de Bergedorf. 94pp. 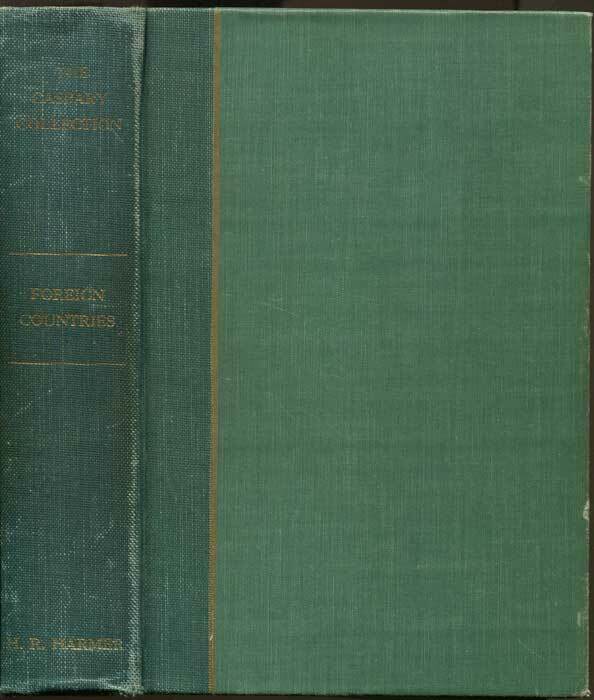 1st ed., uncut, clean in worn and damaged and detached original paper covers. Ltd. edition of 150 copies. 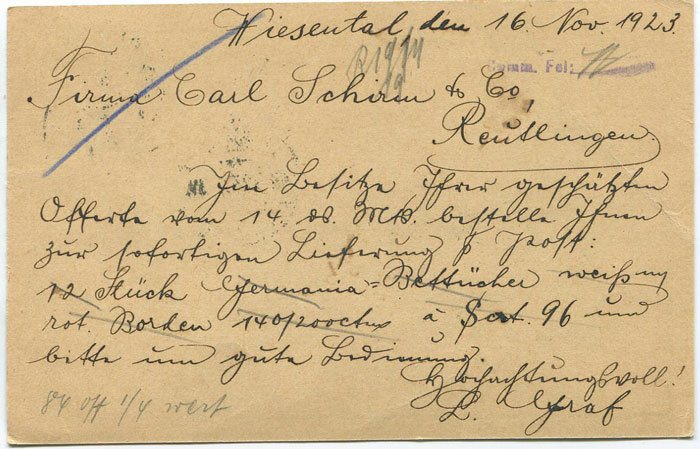 36pp. 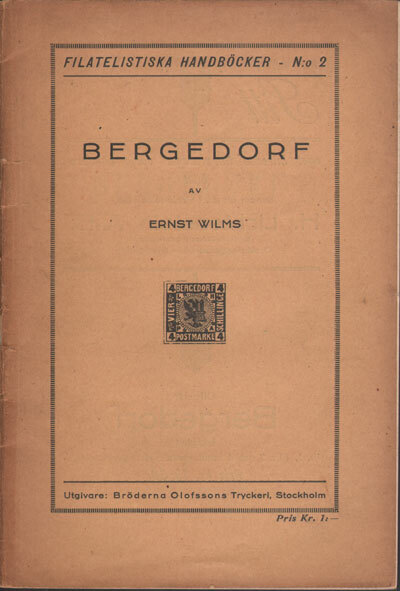 1st ed., fine in yellow paper covers. 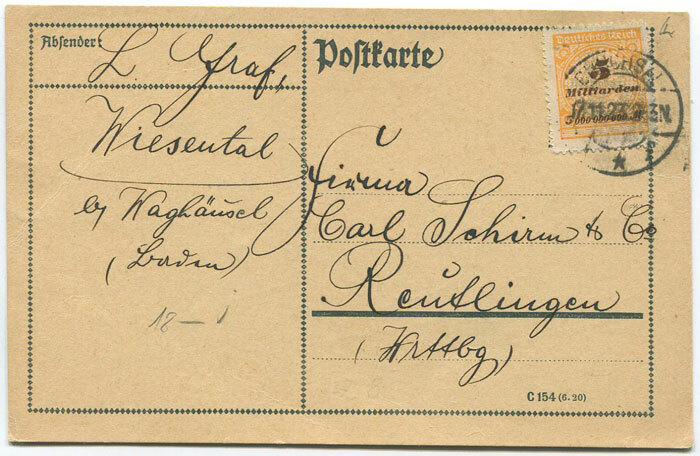 1923 (17 Nov) Germany inflation rate local postcard with 5 million mark tied by Wiesenthal cds. Fine.